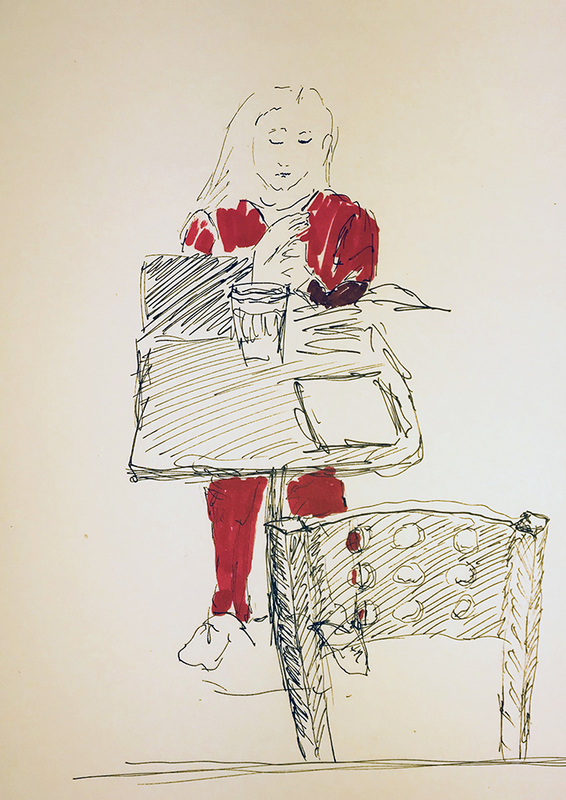 I saw someone in a red nurse’s uniform studying in the cafe today. Perhaps the trend toward red OR uniforms has already begun. This entry was posted in Personal Stories and tagged art, blood, drawing, nursing, pen and ink, sketch, spurting blood, Star Trek, The Next Generation, visual art. Bookmark the permalink.